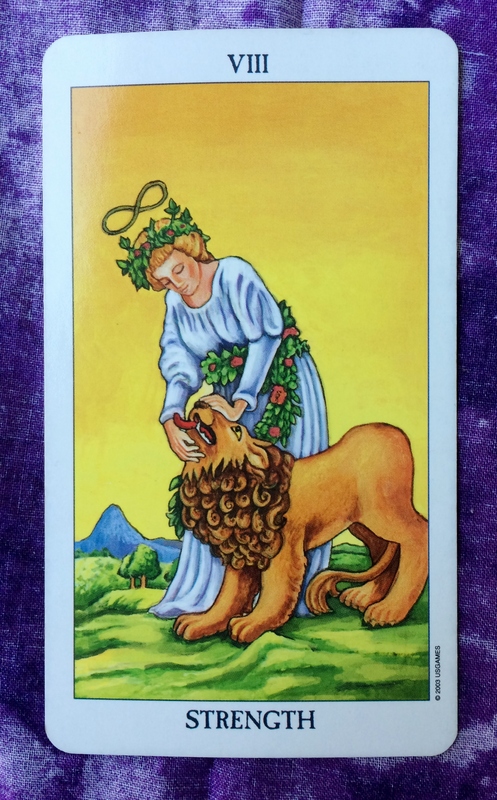 Today we have the Strength card. Whether you realize it or not, you have an infinite supply of it. Tap into your strength. Calm your fears. There is nothing you can’t conquer. Inner strength is what we are talking about here. Even more specifically, we are talking about the power of love. Nothing is stronger than that. Love is the best way to deal with difficult outside influences. 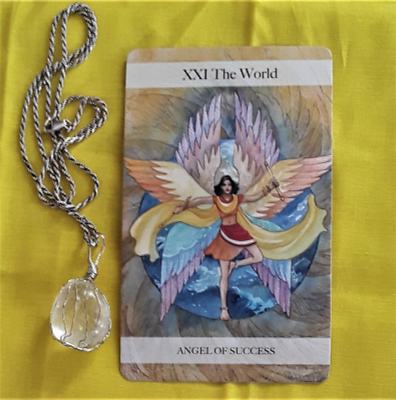 If you are experiencing challenges or upheavals in your life, as was suggested by yesterday’s card, then know that the Strength card is equally as influential. Keep in mind that the most difficult challenges come from inside ourselves, not outside. So use the power of love — Self Love — to tame your raging, roaring emotions. With practice, your loving, peaceful self can learn to live in harmony with your raw emotions.